Inventive but challenging comedian Zach Galifianakis puzzles in 92Y Tribeca performance, upstaged by a warm-up performer. Give 92Y Tribeca great credit for booking a challenging “indie” comedy performer like Zach Galifianakis (see review of DVD, 2/19/07) and filling a room to see him, although what he ended up delivering was a very “meta” take on crowd work for a large portion of his performance. Most of the sold out audience did seem to be in the know, although maybe even reacting and laughing less than they did for the two warm-up performers. As Zach ambled slowly around the audience, he built tension just in his blank demeanor approaching each audience member, then quickly picking them apart and insulting them, based on their occupations, like a post-modern Don Rickles. Also hitting another staple of old-time comedy, impressions, Galifianakis brought forth pieces that mocked the whole idea of impressions -- introducing one as being a 12-year-old boy calling upstairs for a relative he doesn’t realize has collapsed with a heart attack, yelling incessantly with pauses for minutes on end, “Uncle David? … Uncle David! Uncle David? Uncle David … [pause] … Uncle David?” You get the picture. Another impression was -- “a guy from Queens who loves Dockers pants” -- Zach can deploy dead-on accents like a Queens New Yorker or a southern redneck when he feels like it, a sign of his underlying intelligence that might not be apparent to the untrained eye. The highlight of the show might very well have been something Galifianakis didn’t even do live -- a video of a talk show interview he did with actor Jon Hamm of Mad Men where he was incessantly insulting and rude to Hamm. If Galifianakis hasn’t won the Andy Kaufman Award for pieces like this already, he should. Galifianakis also carried this disdainful attitude into a live chat with his live guest for the night, comic actor Will Arnett, best known for “Arrested Development” -- subtly insulting him and mocking him even more after the segment was done. Even with a sympathetic or understanding audience, Galifianakis can test their patience no matter how much they actually do get his jokes that are so unconventional in structure and tone, giving a little too much of a feeling of wishing for the end of the show and getting released from his clutches -- a different kind of comedic experience at very least -- and he’s managed it better in past appearances where he’s kept himself to his piano playing as counterpoint to bizarre musings or had more focused concept pieces throughout a performance. Warm up comics Lisa DeLarios and Kumail Nanjiani made more effort to get the audience to be with them, with Nanjiani more successfully getting control of the audience and taking them where he wanted to go, especially with a bit about his being the guy in the horror film who gets killed right away. This also showed in his getting the heartiest laughs of the night, Galifianakis included. Kumail Nanjiani performs several more times this coming week in New York: 7:30 p.m. Dec. 14 at Comix; 10 p.m. Dec. 18 in “Hold For Laughs” at the Sage Theater; and 9:30 p.m. Dec. 19 with the sketch comedy group Murderfist at the People’s Improv Theater. 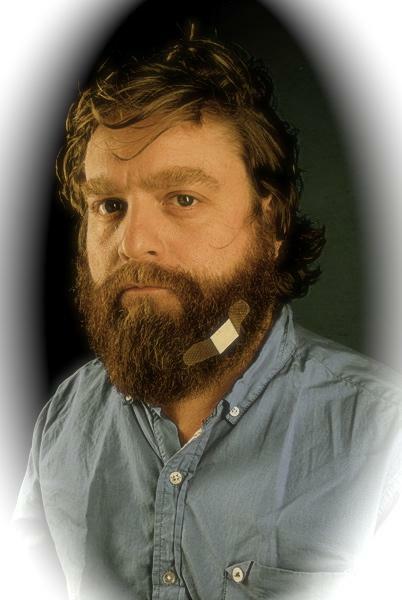 Zach Galifianakis has no further appearances scheduled at present.